(TenMediaPlayerAd) also has published advertisement. This place does not support equalizer. There is also a progress report by twitter. Please use. Music that can change pitch, tempo, playback speed, is a video player. 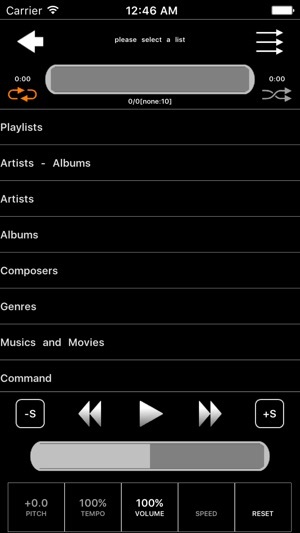 Access to the playlist Because the are integrated, it is also possible to change the playlist immediately. I also supports bluetooth earphones. The loop playback and playlists album, it is equipped with a shuffle function. © Tensoftware All Right Reserved.